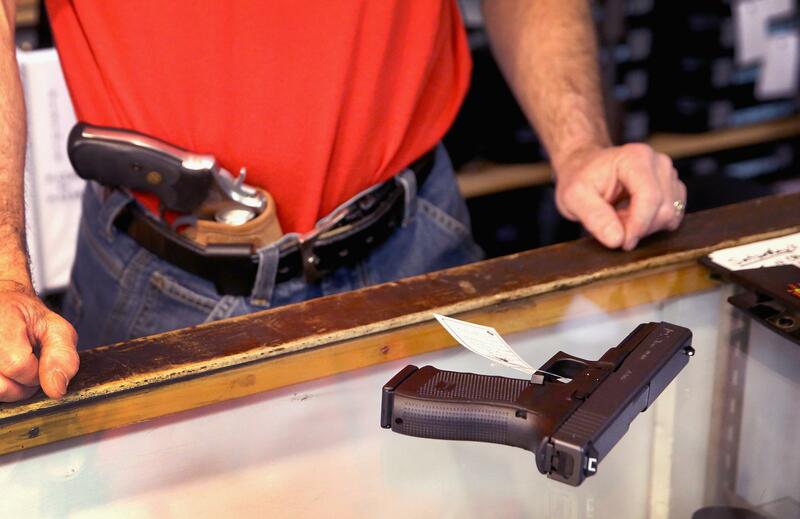 Gun deaths and snake handling: Statistics show firearms are more deadly. Are Guns More Dangerous Than Snakes? You’d be better off buying a snake. Several Slate readers are skeptical of yesterday’s article comparing snake-related deaths with gun-related deaths. They singled out this line: “Having a gun in your home is far more dangerous than having a snake.” I didn’t provide data or a link to back up that statement. My readers want evidence. Good question. Here are the numbers. The best available estimates of deaths from snakebite were collected in a 2008 paper, The Global Burden of Snakebite: A Literature Analysis and Modelling Based on Regional Estimates of Envenoming and Deaths. Thanks to the Public Library of Science, you can read this paper online for free. Table S2, appended to the article, shows an estimate of 4.8 to 7.0 snakebite fatalities in the U.S. per year. The 15 species and subspecies of poisonous snakes endemic to Texas include all of the major poisonous snakes in the United States. Rates of poisonous snakebites have been reported to be higher in Texas than in most other states. However, epidemiologic data on poisonous and nonpoisonous snakebites are limited. Using data on snakebites to humans reported to the six poison centers in Texas, we examined associations with various demographic and clinical factors. … The geographic pattern of reported snakebites was generally consistent with the reported distribution of the types of poisonous snakes. This summary suggests two things. First, extrapolation from Texas to the U.S. as a whole probably exaggerates the national figure. And second, the geographic pattern, matching incidents to where the snake in question would have occurred naturally, implies that bites tend to involve wild snakes, not pet snakes. Bites aren’t the only way a snake can kill you, however. In some cases, it can squeeze you to death. The Humane Society has a thorough, up-to-date report on known incidents involving constrictor snakes. From 1978 to 2013, the report documents 17 human deaths caused by large constrictor snakes in this country. That’s approximately one every two years. In 2011, according to the U.S. Pet Ownership & Demographics Sourcebook, there were 1.15 million pet snakes in the U.S., living in some 550,000 U.S. households. That’s five to seven snake-related deaths per year—of which most were probably bites from wild snakes—in a country with more than a million pet snakes. Those are big numbers. But the gun denominator is enormous. The IOM report notes that in 2007, by one estimate, the U.S. had 83 million shotguns, 105 million rifles, and 106 million handguns—a total of 294 million firearms. If you do the raw math, the chance that a particular gun will kill somebody in this country, in any given year, is about 30,000 out of 300 million, or 0.01 percent. The chance that a particular pet snake will kill somebody in this country, in any given year, is 6 out of 1.15 million, which works out to around .0005 percent. By that calculation, a gun is 20 times more dangerous than a snake. There are problems with this computation. It seems unfair to include homicides in the gun tally, since, as far as I know, there are no snake-related homicides. So let’s take those out of the numerator. That knocks the gun fatality rate down to 20,000 out of 300 million. But that’s still about 13 times higher than the snake fatality rate. If you take suicides out of the equation, you can argue that the 850 accidental firearm deaths, against a denominator of 300 million guns, is only 0.0003 percent—lower than the snake fatality rate. But that’s not fair, either. To start with, you’re being uncharitable to pet snakes. Judging from the numbers and patterns reported from Texas and the Humane Society, the overwhelming majority of snake-related deaths are from bites, not constriction, and these bites seem to be largely from wild snakes. Wikipedia’s informal catalogue of more than 30 fatal bites in the U.S. indicates that most were from wild snakes, and a few were from handling snakes in religious ceremonies. Only one is attributed to a pet snake. By that measure, even if you focus strictly on accidental deaths, a pet gun is 20 times more dangerous than a pet snake. If you really want to use 300 million guns as a denominator, without regard to who owns the guns, then it’s only fair to give snakes the same courtesy, by using their entire U.S. population—wild snakes, too—as the denominator for calculating their lethality. In the Florida Everglades alone, the estimate for a single large and dangerous species, Burmese pythons, runs as high as 150,000. God knows how big the U.S. population of all snake species is. Another way to calculate the risk is by household. The pet ownership sourcebook says 550,000 U.S. households have snakes. Gallup’s most recent survey, taken in October 2013, found that 37 percent of U.S. households—that’s about 32 million, given the census estimate of 115 million households—have guns. So the ratio of snake fatalities to snake-owning households is about 1 in 100,000. The ratio of accidental gun fatalities to gun-owning households is about 1 in 40,000. That’s assuming, against the evidence, that all snake fatalities are inflicted by household-possessed snakes—and excluding, as a safety issue, the 20,000 people who commit suicide every year with firearms. If you exclude homicides but count suicides, the ratio of gun deaths to gun-owning households is about 1 in 1,500. So, yeah. Having a gun in your home is far more dangerous than having a snake.